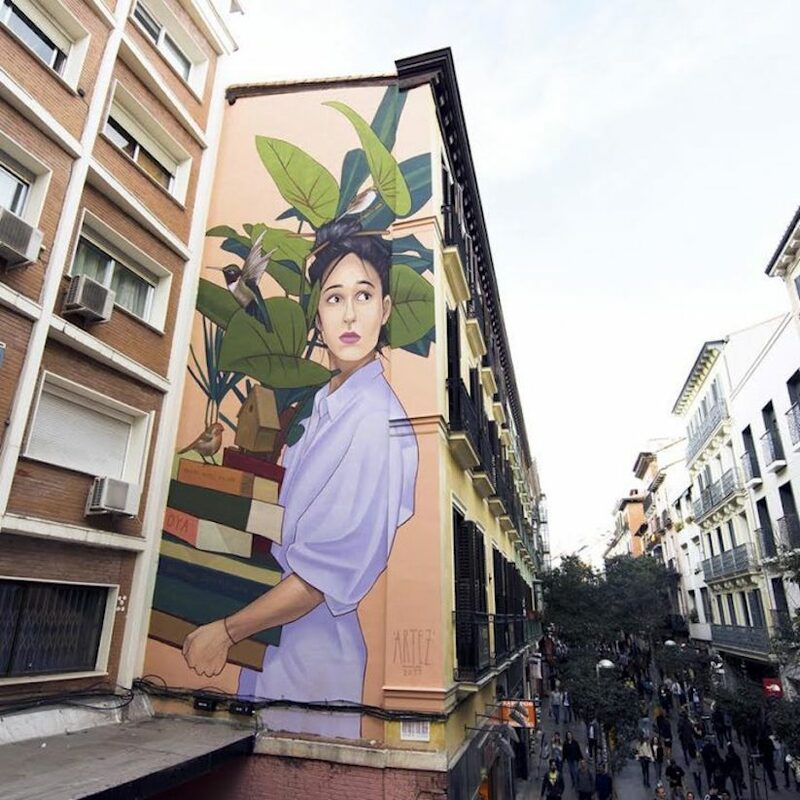 The Mural tells us the story of Madrid, a place where visitors from all around the globe are welcome to come and enjoy the vivid artistic and cultural content that this city has to offer. 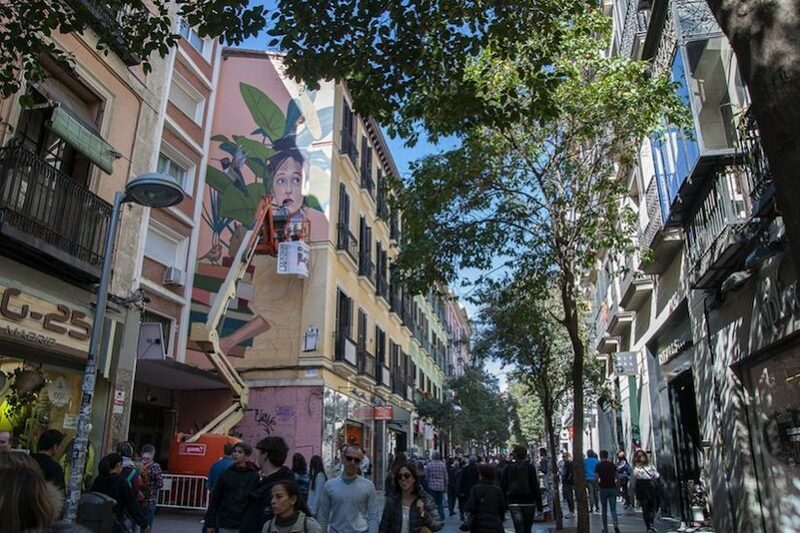 Positioned in the very centre of the town, this mural creates a contrast with the pedestrian shopping street in which it is located. 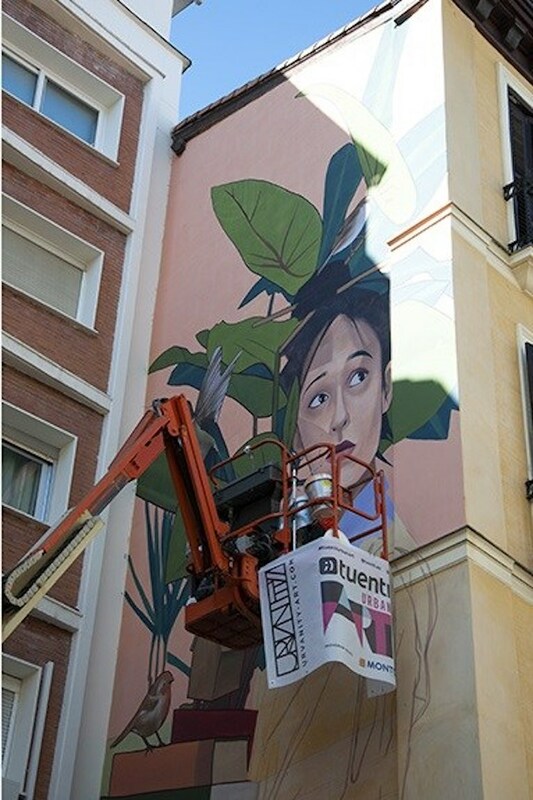 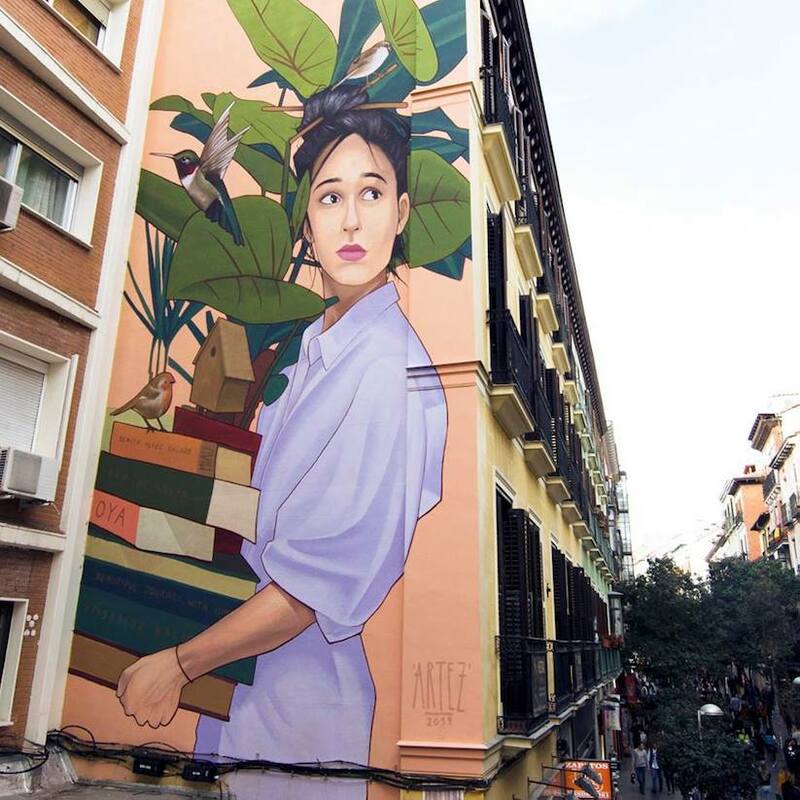 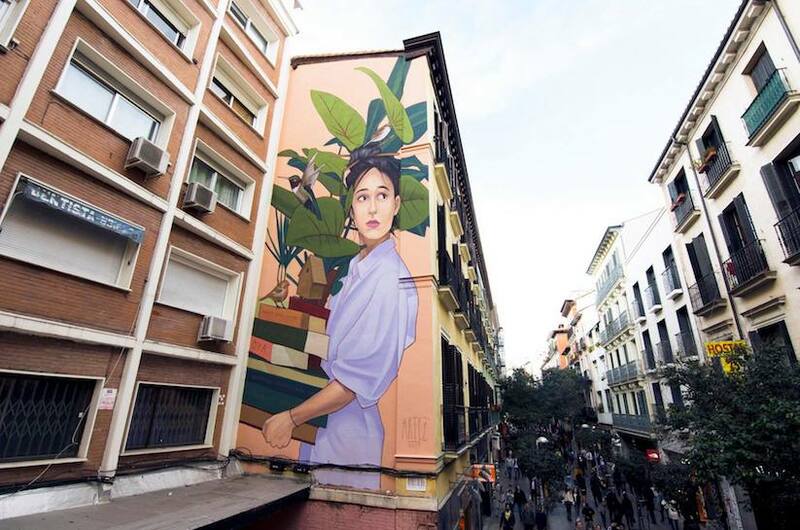 Instead of carrying shopping bags, girl depicted on the mural is holding a pile of books important for the history and culture of the city, and a plant with a small birdhouse that is inviting all the „birds“ to come and feel like home!